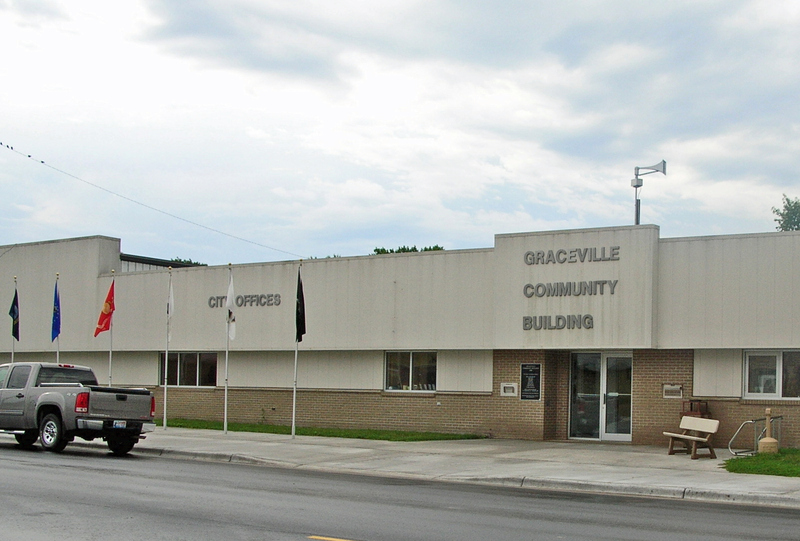 Graceville is a city in Big Stone County, Minnesota. 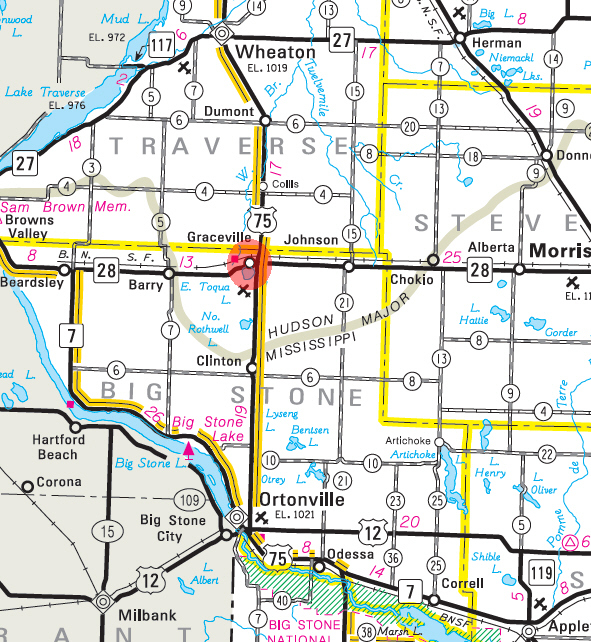 U.S. Route 75 and Minnesota State Highway 28 are the two major highways that run through the community. The town's main street is named Studdart Avenue. According to the United States Census Bureau, the city has a total area of 0.58 square miles (1.6 km²), all of it land. 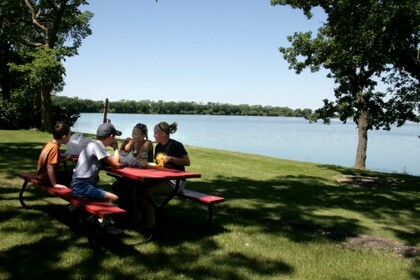 The town is located on the northeast corner of Toqua Lake, a recreational lake surrounded by two campgrounds, a golf course and a shooting club. The elevation is 1,112 ft (339 m) above sea level. As of the census of 2010, there were 577 people, 263 households, and 135 families residing in the city. The population density was 994.8 inhabitants per square mile (384.1/km2). There were 305 housing units at an average density of 525.9 per square mile (203.1/km2). The racial makeup of the city was 99.8% White and 0.2% Asian. Hispanic or Latino of any race were 0.7% of the population. There were 263 households of which 19.0% had children under the age of 18 living with them, 46.8% were married couples living together, 1.5% had a female householder with no husband present, 3.0% had a male householder with no wife present, and 48.7% were non-families. 44.5% of all households were made up of individuals and 25.9% had someone living alone who was 65 years of age or older. The average household size was 2.01 and the average family size was 2.80. The median age in the city was 52.2 years. 17% of residents were under the age of 18; 5.5% were between the ages of 18 and 24; 15.8% were from 25 to 44; 26.6% were from 45 to 64; and 35% were 65 years of age or older. The gender makeup of the city was 45.9% male and 54.1% female. At the 2000 census, there were 605 people, 257 households and 149 families residing in the city. The population density was 1,007.7 per square mile (389.3/km²). There were 283 housing units at an average density of 471.4/sq mi (182.1/km²). The racial makeup of the city was 99.50% White, 0.17% Native American, 0.17% Asian, and 0.17% from two or more races. Hispanic or Latino of any race were 0.17% of the population. There were 257 households, of which 26.8% had children under the age of 18 living with them, 51.4% were married couples living together, 5.1% had a female householder with no husband present, and 42.0% were non-families. 39.7% of all households were made up of individuals and 22.2% had someone living alone who was 65 years of age or older. The average household size was 2.15 and the average family size was 2.92. Age distribution was 22.3% under the age of 18, 5.1% from 18 to 24, 21.8% from 25 to 44, 18.2% from 45 to 64, and 32.6% who were 65 years of age or older. The median age was 46 years. For every 100 females there were 80.1 males. For every 100 females age 18 and over, there were 74.7 males. The median household income was $27,143, and the median family income was $35,385. Males had a median income of $27,031 versus $21,250 for females. 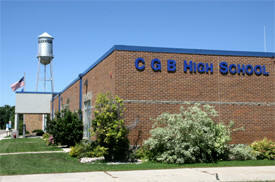 The per capita income for the city was $15,451. About 3.9% of families and 8.6% of the population were below the poverty line, including 10.7% of those under age 18 and 12.1% of those age 65 or over. 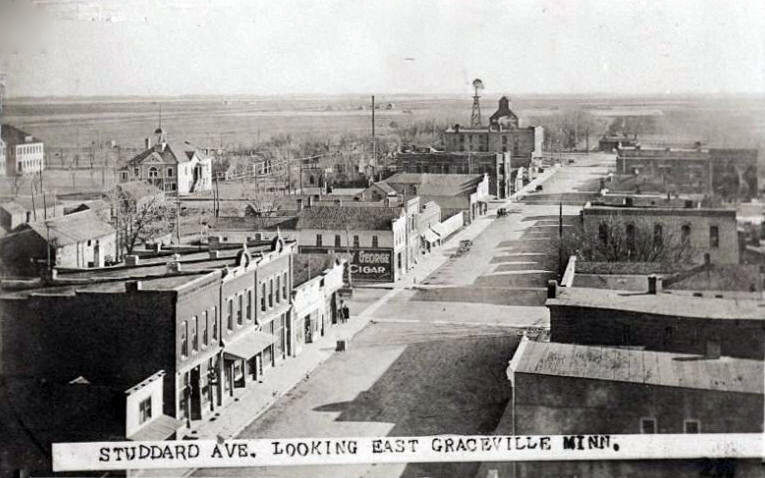 GRACEVILLE Township and its village, which was founded by Catholic colonists in 1877-78, were named in honor of Thomas Langdon Grace, who during 25 years was the bishop of St. Paul, 1859 to 1884. He was born in Charleston, S.C., November 15, 1814, and died in St. Paul, February 22, 1897. Another version of the naming of the city is that it is for Grace, the first white child born there and daughter of M. J. McDonald, who built the first house in 1878. 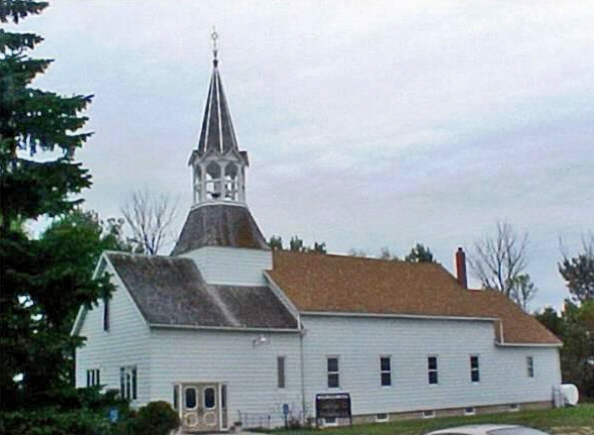 The village was incorporated on February 18, 1881; it was formerly called Lake Tokna for the post office, 1871-79, which was established in Traverse County. Bishop John Ireland purchased 80 acres for the townsite and 120 acres adjacent for a farm colony in 1878. 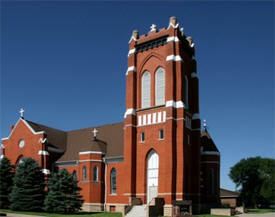 The village had a Catholic convent, a Catholic academy, elevators, flour and roller mills, horse and livestock breeders, and a station of the Great Northern Railway in section 4. In an effort to promote tourism, the Graceville Civic Group began Toquatennial Days on the first weekend of July in 1988, the 110th Anniversary of the town's founding. Events included the crowning of "Miss Toquatennial" (entants limited to women who would be seniors at the high school), a "Medallion Hunt", softball tournament, a Sunday evening ice cream social and drag competition (an apparent parade of past Miss Toquatennials), two street dances (a free "kiddie" dance on Friday night, and the Graceville Volunteer Fire Department Fundraiser dance on Saturday night), and the Saturday morning "Graceville Gallop", a six kilometer walk/run event that circles Toqua Lake. The events culminated with a fireworks display at dusk on the Sunday evening over Toqua Lake. 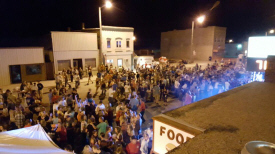 Events continued to be held annually on the first weekend of July or last weekend of June until the Civic group disbanded in 1998, but several local businesses and the Volunteer Fire Department have independently kept many of the events going every year, including the addition of a 3-on-3 basketball tournament and fire department "water fights". 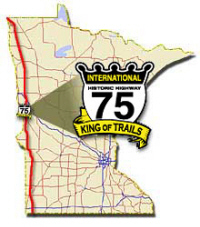 The "King of Trails" (KT) crosses the entire United States, beginning in Winnipeg, Manitoba, Canada and ending at the Gulf of Mexico in Galveston, Texas.http://www.highway75.com/state.jpg We have developed this website as a resource for planning your travels through Western Minnesota. Our site serves as your source for links to the many cities and sites along the route. Communities up and down the International Historic Highway 75 King of Trails Byway are getting ready to celebrate life along the route, showcasing baked goods, fresh produce and flowers, plus antiques and collectibles, during the King of Trails Market Day, held annually the second weekend of September. This year’s annual Highway 75 King of Trails Market Day will be held Saturday, Sept. 10th from 8:00 am to 3:00 pm. 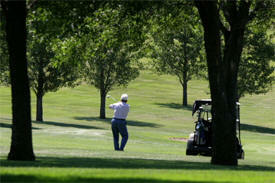 The Graceville Golf Course offers nine-hole with watered fairways. The course is open to the public and located next to Toqua Lake Park. 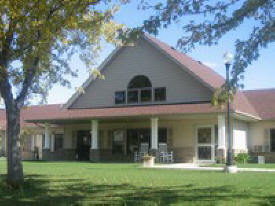 There is cart and clubhouse rental available. This is a par 36 course with 3, 4, 5 per hole. Yardage is 3,029. The park has 12 campsites with electricity. Showers and toilets are available in park. There is a playground, swimming beach, boat landing, two softball fields and volleyball court. A picnic shelter is available. There is also a golf course nearby open to the public. The rural roads have been widened to accommodate biking and walking. Essentia Health - Holy Trinity Hospital is a 15-bed Critical Access Hospital with both acute care and swing beds available. Holy Trinity Hospital offers many services including: Emergency Care, Swing Bed, Radiology, Laboratory, Occupational Therapy, Physical Therapy, Sleep Disorders Program, and monthly Outreach Services of Podiatry, Dietitian, Orthopedics, Grace Home, a 50 bed long term care facility General Surgery, Urology, Optometry, Internal Medicine, Ophthalmology, Audiology, and ENT. Essentia Health–Graceville Clinic, Graceville, MN, located in the south wing of Holy Trinity Hospital provides family practice healthcare to the Graceville community. 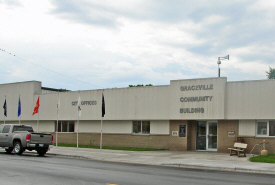 The Graceville Clinic is staffed six days a week, and a clinic provider offers on-call care on Sundays and holidays. 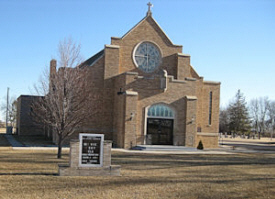 The Graceville Clinic is affiliated with Holy Trinity Hospital, one of Essentia Health’s many Catholic facilities. 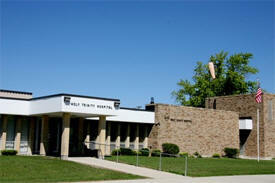 The Wolf House offers many options for guests, whether just a weekend or an extended stay. Our breakfast area is available for guests and each of our five rooms have flat screen televisions and a full bath. Outside keyless entry and secure private rooms. 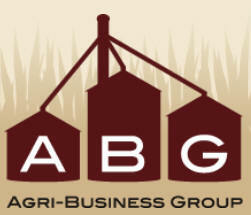 Agri-Business Group (ABG) is a leader in crop insurance sales, agribusiness insurance sales and financial advisory services. The quality of our products and services reflects the power and heritage of Agri-Business Group—the pride we take in what we do and what we make possible. We’re passionate about people, process, product, and service excellence and are determined to serve our clients through innovation, continuous improvement, an intense focus on customer needs, and a dedication to meet those needs with a sense of urgency. 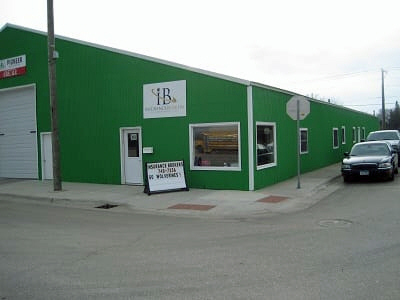 We are a family owned agricultural retail center in Graceville, MN. 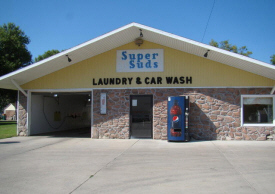 We have been family owned for 44 years. 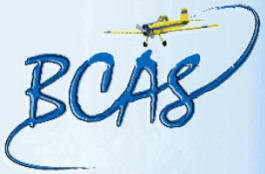 BCAS was started by the late Tom Bauer, offering crop dusting services and seed sales. Chuck has continued the business, following in his father's footstep with crop dusting. BCAS added chemical sales to its services in the late 1980's and seed sales again in the 1990's, along with ground application and dry fertilizer in the early turn of the century. BCAS has continued to grow, now employing 9 full-time employees who are all raising families (or trying to start one) in the Graceville area. BCAS is proud to serve over 100 growers. Good Day Folks! We are your source for fresh, homegrown produce & meat, raised & sold at our farm. We offer a wide variety of fresh, delicious in-season vegetables at affordable prices 6 days/wk at our garden center. Homemade pickles, jam, chickens, turkey etc. Take orders for sweet corn, tomatoes, cucumbers & anything else. Spacious shopping area, reach-in coolers, displays & friendly service for your convenience & satisfaction. Questions/Orders pls call. Bowling is great family &amp; friends Entertainment! Tournaments, League Bowling, Golf Simulator, Pool Table, Darts, Big Buck Hunter, Snack Shack and much more! 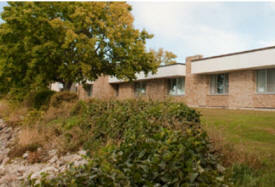 Grace Home is a 50-bed long term care facility built on strong Christian foundations. These foundations provide the strength and vision to meet the challenges of the future through faith and belief in the dignity and uniqueness of each individual. 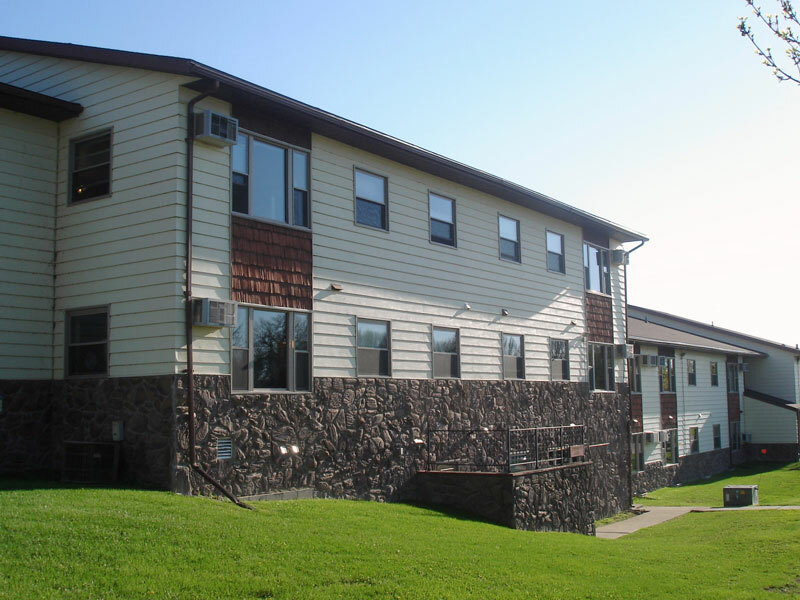 Grace Home was founded to provide physical, spiritual and social care for individuals requiring supervised daily living as well Grace Village, a 16 apartment Assisted Living Facility as varying degrees of nursing services in a home-like setting. 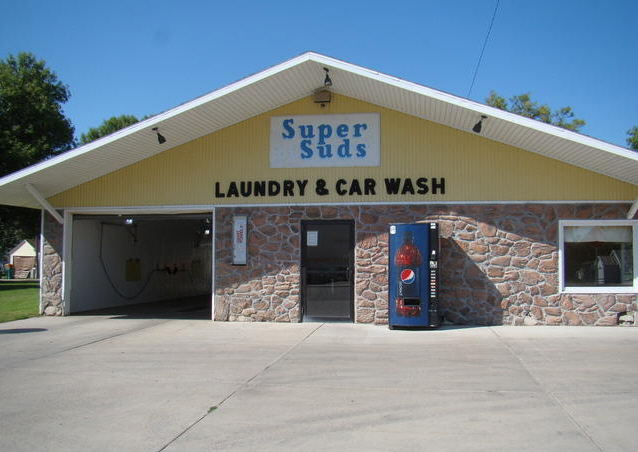 Located in Graceville, Mn., Fischer's Outback LLC carries hunting and fishing supplies, firearms and accessories, reloading supplies and equipment, camping supplies, archery supplies and equipment. Now offering trap simulator at 10X Range. Purchase your hunting and fishing licenses and also a game regitration site. We offer fresh and silk flowers, green and blooming plants, gift items, helium balloons, wedding designs, sympathy work, and have dry cleaning pick-up and delivery on Tuesdays. Daily deliveries in town with out of town deliveries also available. 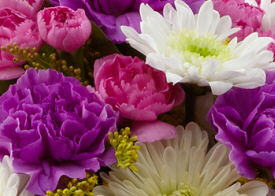 We are a member of the Teleflora wire service. Cash, credit cards, and checks are accepted. Located in the family-focused community of Graceville, Minnesota, Grace Village is a 16-apartment assisted living facility designed for older adults who don’t require skilled nursing care. It’s also designed to feel more like a neighborhood than senior housing. Stroll down the hallways, for example, and it’s as if you’re on a small-town main street—complete with lampposts, benches, and front windows on your neighbors’ apartments. There’s also a “heritage hallway” filled with family photos and images of residents’ childhoods, graduations, weddings and more—because a life lived well is life worth honoring. 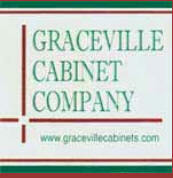 At Graceville Cabinet Company, we create only the finest in custom cabinetry and furniture. With meticulous attention to detail, we work strictly with the highest quality materials. We strive for excellence in every job we take on - especially yours! Mark has over 20 years of experience in the cabinet industry and still believes that every customer deserves 100% of his expertise and dedication. He started in the industry by attending a Carpentry Program in college. His previous experience is in a wood shop where he worked for 10 years. 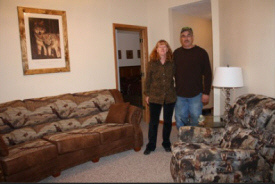 He opened Graceville Cabinet Company in 1997. 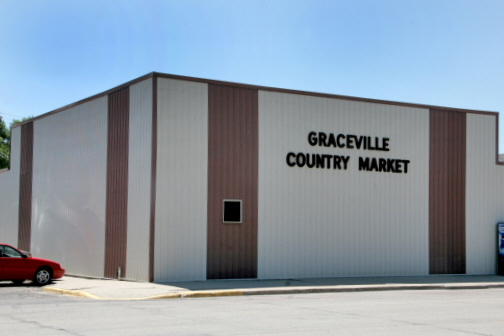 Graceville Country Market has been locally owned and operated for 25 years. We offer a full line of groceries, dairy products, fresh meat and produce. Our store hours are Mon – Fri 8:00 am – 6:00pm Sat 8:00 am – 5:00 pm and closed Sunday. Stop in – we appreciate your business! Trap shooting every Tues from mid-May to end of August. Turkey shoots every Tues in September. 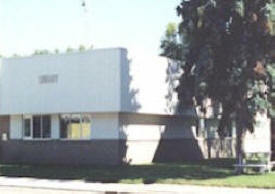 Building can be rented for private parties. Camp Sites available: 8 sites with water and electricity. 300 yard rifle range. Open to the Public. 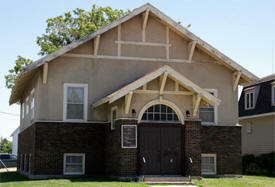 This three story property boasts an huge community room available to tenants, guests, and non-residents. The nominal rental fee makes this room a great option for family get-togethers, graduation celebrations, birthday parties and much more. 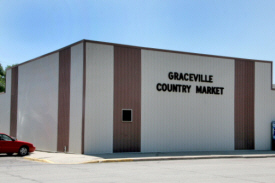 The charming town of Graceville offers a variety of business for shopping and abundance of recreational opportunities. You will find one our Insurance Brokers of MN agents, Keith Adelman ready to help you today. Partnering with over fifty major insurance companies, Keith can help you find the right coverage for your farm, home, autos and the right coverage for the drivers in your family. Also, if you have a business, Keith is able to find the right policy for you. Request for a quote online or give Keith, in the Graceville office, a call today at 320-748-7356. I am proud to serve the Big Stone and Traverse county areas including the cities of Clinton, Graceville, Beardsley, Dumont, Wheaton, Chokio, Ortonville, Collis and Johnson. Welcome to our website here you will find information about the Big Mac III, photos and our contact information. Cut out the middle man and buy directly from us and save! We offer personalized services, pre-arrangement options, and traditional and cremation services, enabling families to memorialize their loved one. A full line of granite memorials are also available as we represent Rausch Brothers Monument Company. 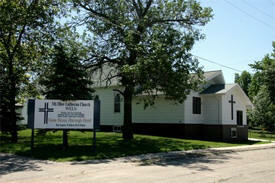 Our family is proud to offer six welcoming facilities to serve area families. Our handicapped accessible facilities are spacious, and offer comfortable lounges, children's rooms, and up-to-date funeral merchandising centers. 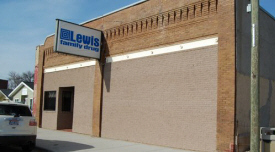 Located in both Minnesota and South Dakota, Lewis Drug has been servicing its communities for over 40 years. Specializing in providing services for those with complex medication needs, Liebe Drug locations are staffed with highly trained full time pharmacists, technicians, and pharmacy staff. 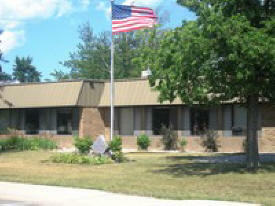 In addition, all of our locations provide the convenience of local courier home-delivery, and delivery by US Mail. 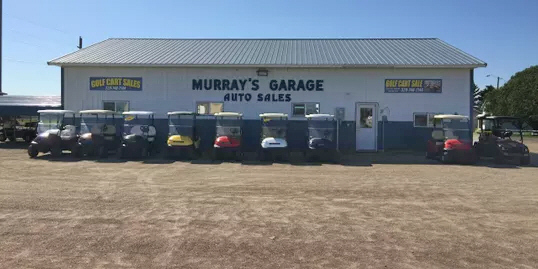 Family owned and operated since 1962 For all your vehicle and golf cart sales and service needs Maybe you golf, maybe you just want one to buzz around on. Either way, check out our large inventory today! Best prices around! We both sell and fix carts. 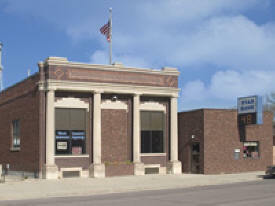 Star Bank was originally founded in 1904 as The First National Bank in Bertha, Minnesota. 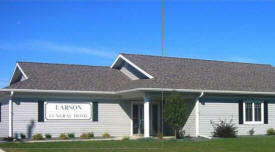 We are a full service community bank that offers a wide variety of financial solutions to individuals and businesses. 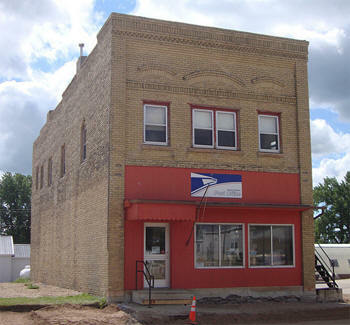 Star Bank has over $135 million in assets and is serving its customer base throughout Central Minnesota with offices in Big Stone, Grant, Todd, Traverse, Wadena, Hennepin and Wright counties. Star Bank is “The Bank That Cares” tm and it shows in our customer service. We are committed to the growth and prosperity of the communities we serve. 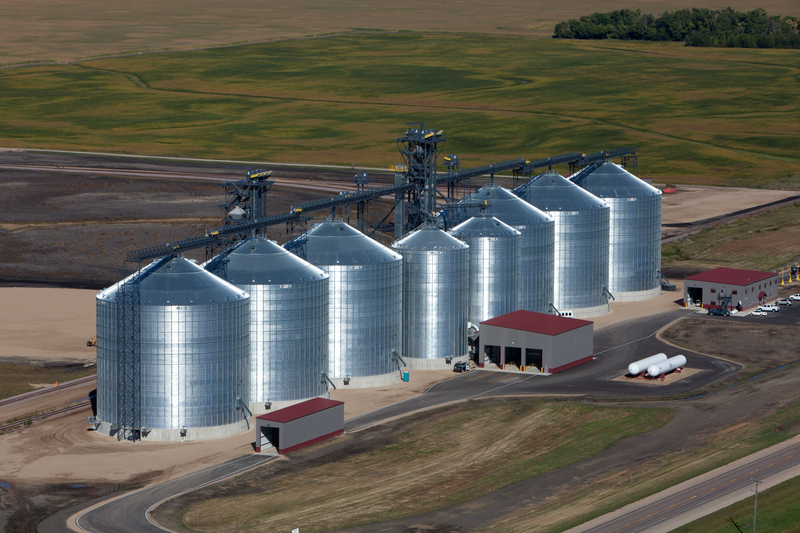 Located in west central Minnesota, Stueve Farms, Inc. was officially formed in 2003. President Don Stueve started farming in 1974. Throughout the years more family members have become part of the farm operation; a son-in-law, a son & his wife, and this year a daughter for some much needed fall tillage! Thanks for visiting! Your Case IH, New Holland Ag dealer. We are eager to serve you…in person OR online. Feel free to look around and try our many useful features. And next time you stop in at the store, let us know if we can add anything else to make your online experience even better.